We chose a few meal delivery companies to try out and also review. We’ll look at Blue Apron, Gobble, Takeout Kit, Martha & Marley Spoon, Sun Basket and 2 other unique prepared meal options in this post. Anyone looking to mix it up in the kitchen! As we tested these meal prep companies, we found that we actually enjoyed cooking. The recipes provided by the service allowed you to cook everything step-by-step, and it ensured it to taste better than something we would just throw together. We also learned a few cooking tips [washing quinoa] and techniques and tried ingredients [hello cilantro!] we normally wouldn’t have! It’s also such a time-saver to have meals delivered to your door. It saved us time, frustration and money by knowing what we’d have for dinner each day! The meal delivery services we reviewed allow you to customize your menu and have no long-term commitments. How much does it cost to use a meal prep delivery service? Each service we tried or researched varied a bit in price. Most of the prepped meal services came in about $9 per meal. We had to start with the best — Martha Stewart herself. Who else should we learn to cook from? All silliness aside, we really did love how simple the website was to select our meals. They arrived on time, and the ingredients were so fresh! We also enjoyed all 3 meals we received (see our full Martha & Marley Spoon Review). Each week provides new recipes to try, and you can view recipes 4 weeks out! I also really loved the packaging it came in! It was environmentally friendly and very clear to understand. You can get $30 off your first order with our affiliate ad right below! Blue Apron was the first meal delivery service we heard about. We love how simple their meals are, and they are always varying it up. They also offer Whole 30 meals now! This is such a game-changer!! They also focus on fresh produce and no antibiotics in their meat making them a healthy meal delivery option for the most part! Another perk? They also carry wine now! You can find quality bottles starting at $10! We actually cooked Takeout Kit’s Pho Soup a few weeks ago. Takeout Kit is perfect if you’re wanting to make dinner an adventure. The company focuses on “global meal kits.” These kits allow you to try foods and recipes that you normally would only find in a specialty store. Another really cool perk of Takeout Kit? The ingredients included have a 2-month shelf life! The other meal delivery services we reviewed last a week at best. If you’re looking for a healthy meal delivery service you’ll love Sun Basket. Their ingredients are not only fresh, but they are organic. You can choose a Paleo, Gluten-Free, or Vegetarian options. While the price is a bit more you’ll be getting organic non-GMO produce and responsibly-raised, sustainable meats and seafood. Each healthy recipe takes about 30 minutes to make. Their website is also super easy to use which goes a long way in our book! Gobble called out to us because it promises dinner to be ready in 15 minutes and in 1 pan! The meals like the one above look so yummy too! The only thing we didn’t like? The website! You have to enter in your email, preferences, address before seeing the pricing. It just didn’t feel as friendly and transparent as the other services. Once you find out the price per meal, they also let you know it’s an auto-ship program. This means you’ll be billed and shipped a new week of food unless you cancel or skip your subscription. This COULD in fact be really easy to do, but we haven’t tested it. Unless you know Gobble is for you, it might not be worth the convenience of a 15 minute meal. We know a meal delivery service isn’t for everyone, so we have two more options up our sleeves regarding meal planning. How much does Nutrisystem cost for a month? Nutrisystem ranges from $9-12 a day depending on the plan and types of food you select. We love Nutrisystem because it’s just simple to follow. They literally outline every meal for you, and all you have to do is eat it! The food also is pretty tasty! We love these banana nut muffins and their pizzas! You can check out our full Nutrisystem review here or my Lean 13 Week 1 Results. We know that prepared food services like Nutrisystem aren’t for everyone though. If you’re looking for a simple meal plan incorporating fresh foods, PlateJoy might be your best fit! You take a simple quiz to receive a personalized plan. From there, you receive custom meal plans with personalized recipes to suit your needs and tastebuds. You can also create a shopping list and send it to your phone easily. You also choose to work with a coach for even more support and guidance. How much does it cost for a meal plan? Get $10 Off at PlateJoy.com! Use Promo Code: GET10 at Checkout. What is the best food delivery service? Our favorite meal delivery service is Martha & Marley Spoon at the moment. The ordering process is so simple, and their variety is great! We also loved how simple the meals are to put together. If you have more cooking experience than we do, we would suggest Blue Apron because its variety and quality of ingredients are both great! Some normal cooks have said Marley Spoon was a bit too easy for them….but that was a perk for us! With that said, if you’re very health-conscious you may choose Sun Basket because of the organic ingredients. If you want adventure, Takeout Kit will be for you. So the best food delivery service really comes down to what you are looking for. All 4 of the ones we reviewed were amazing though! 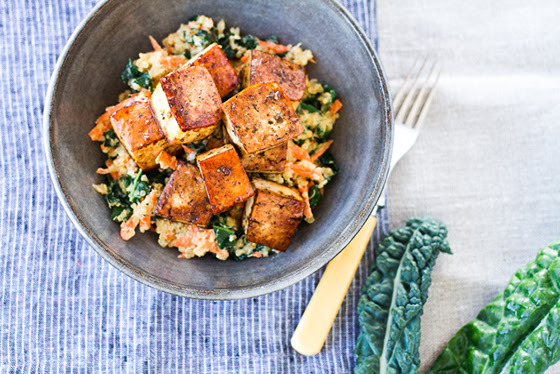 Have you tried any of these meal delivery services? I’ll be stoked when more delivery services come to my zip code! Oh I know!! It took a while for us to get a few in Tennessee. Each one is different so find a few you might like and keep checking :) Hopefully they’ll expand soon! I love this post as I feel like I’m obsessed with food boxes. We’ve done Home Chef, Hello Fresh, and Green Chef. I should try some of these!! Oh wow! That is awesome, Jamie! I’d love to know how these compare. I tried Hello Fresh a few years ago, and some of the produce wasn’t fresh ironically. How did you like Home Chef? We’re hoping to review more in the future!